Gay Potter can’t believe Barbara Corcoran is still quoting the same tips on Home Buying and Selling. 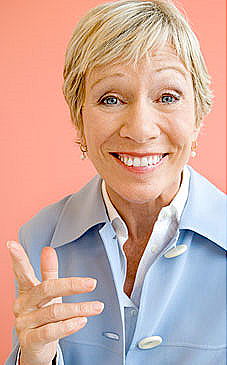 Real Estate guest speaker, Barbara Corcoran, spoke on NBC Today show on the topic of real estate. Unbelievable that she is still quoting the same tips on Home Buying and Selling. GUESS WHAT EVERY BODY – Phoenix has hit the bottom and is on it’s way back up! TELL THAT to Queen Creek, Anthem, Maricopa and others in the outlying areas! While some of these “truths” still ring true, I think Barbara needs to get some new material! It is 2009 Barbara – get with the program. Listen past her interview and the other reports have a completely different tone! I just let the feed roll and wrote this blog – Barbara got the big show appearance but everyone else that is interviewed has the heartbeat of the true market. To catch all the real estate interviews click here: NBC Interviews – I selected the the old 1960 NBC Peacock, since that is how relevant I think Barbara’s interviews are! Very interesting that NBC chose to highlight, in its’ very popular morning news show, the only interview done at News 12 with old information. Barbara – how about talking about the short sale market that then becomes the REO market and about how someone is going to keep their home when they have NO INCOME ??? This is the reality – yes the home building starts are down but we are still going to have a wave of properties come on the market all over the valley as everyone’s purse strings get pulled tighter and tighter! In today’s uncertain market, fear runs rampant on both the buying and selling sides of the fence. Many myths need debunking. Here are five untruths held by buyers, and five held by sellers. When buyers ask, “How long has this property been on the market?”, they think “six months” means they can negotiate the price down. It more often means the seller is stubbornly holding on to their price. Most aren’t. Always ask why the sellers are selling. It’s the key to finding how motivated and anxious they are. “I’m being transferred to Dallas” is a very different answer than “We’d like to find something bigger.” The first homeowner is hot to trot. Buyer myth No. 3: You can’t buy a home today with less than 20 percent down. Once again, the FHA to the rescue! They’re happy to lend money to buyers with bad credit. Buyer myth No. 5: You shouldn’t buy before prices have bottomed. You can’t sharp shoot the real estate market. Once you identify the “bottom,” prices have already moved up. Seller myth No. 1: Now’s the absolute worst time to sell. Not necessarily. It depends upon where you live. Many of the worst hit markets, like Las Vegas, Phoenix or San Diego, are already beginning to turn around. And if you’re a homeowner who wants to trade up, the loss you’ll take on your current home will be more than offset by the bargain you’ll get on the next one. Most sellers believe that it’s smart to hold out for something better. But four times out of five, the first offer is the best you’ll ever see. Sellers often price their home high for a few weeks just to test the market. But buyers shop by price bracket and if your house is in the wrong one, you’ll just help sell everyone else’s home while yours sits there overpriced. And reducing your price later in small increments puts you in the position of chasing the tide as it goes out. You can if you want, but you’ll usually get the best deal from your current lender. And you’ll be able to negotiate your closing costs. Hi Gay! Excellent post…right on! If only the news media would get information from the sources that are in the “know,” as well as current information. 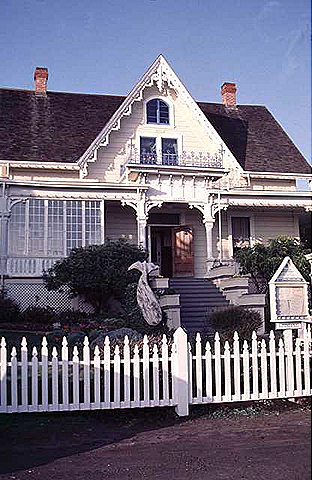 Gay Potter’s new listing featured on it’s own Web Page! Gay Potter’s review of Real Estate in Mexico – not much different from Phoenix, AZ but we don’t have a beach!